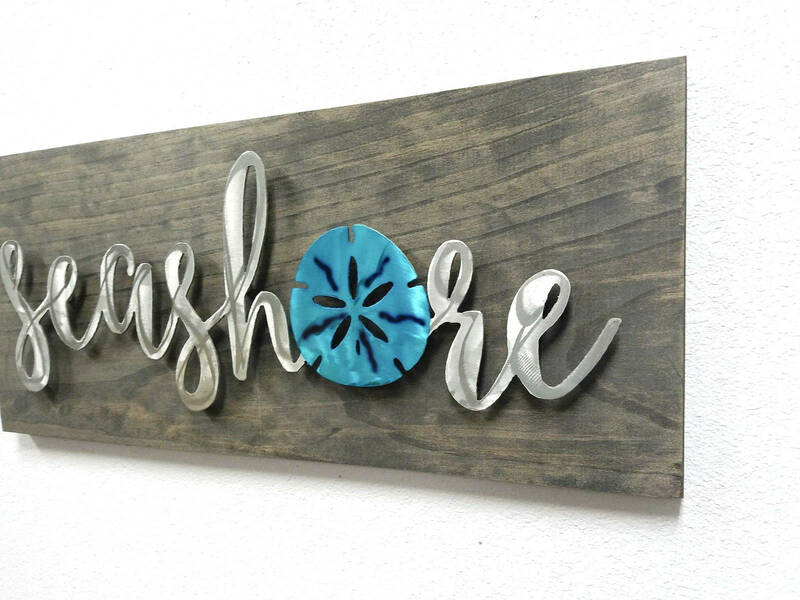 Our Seashore Metal Wall Art Sign is a perfect addition for the beach lover in you. 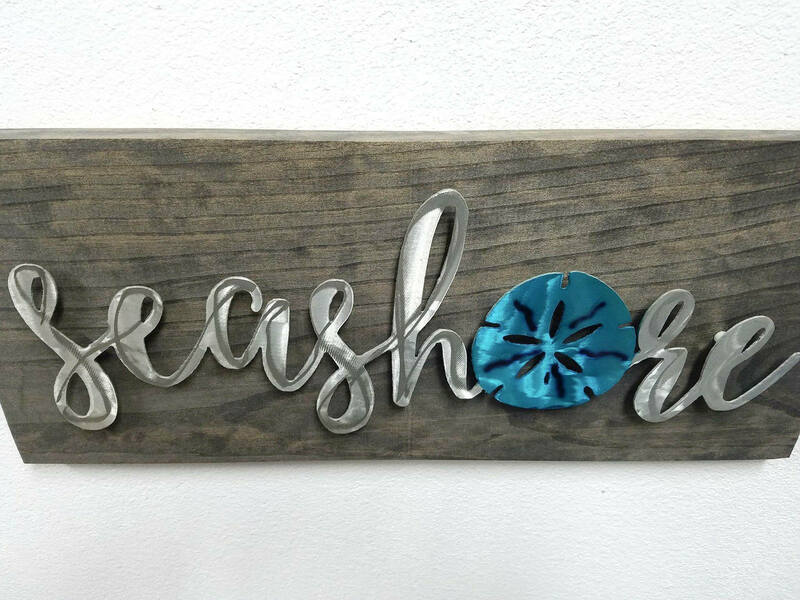 Featuring a whimsical font, this beautiful cottage style sign features a colored sand dollar as the "O". 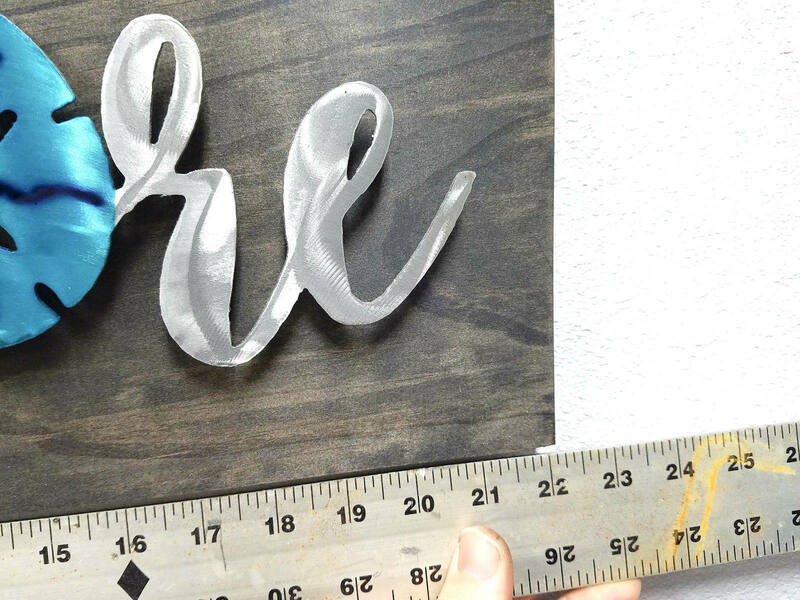 This attractive sign is 22" wide by 9.5" tall. 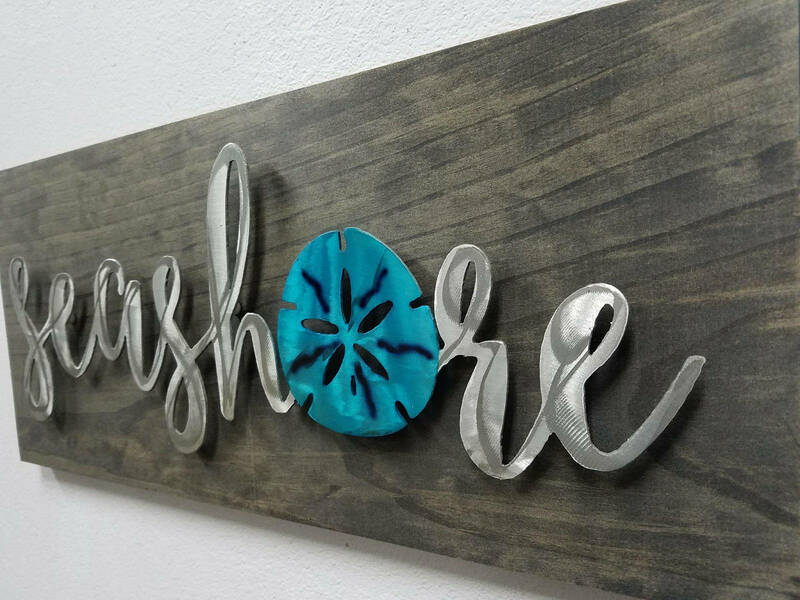 Plasma cut from 16 gauge aluminum, our Seashore Beach Decor is then hand ground to add depth and dimension to the piece. For those of us familiar with the salt air, we know what salt can do to steel over time. That's why we've created our Ocean Decor using aluminum rather than steel. 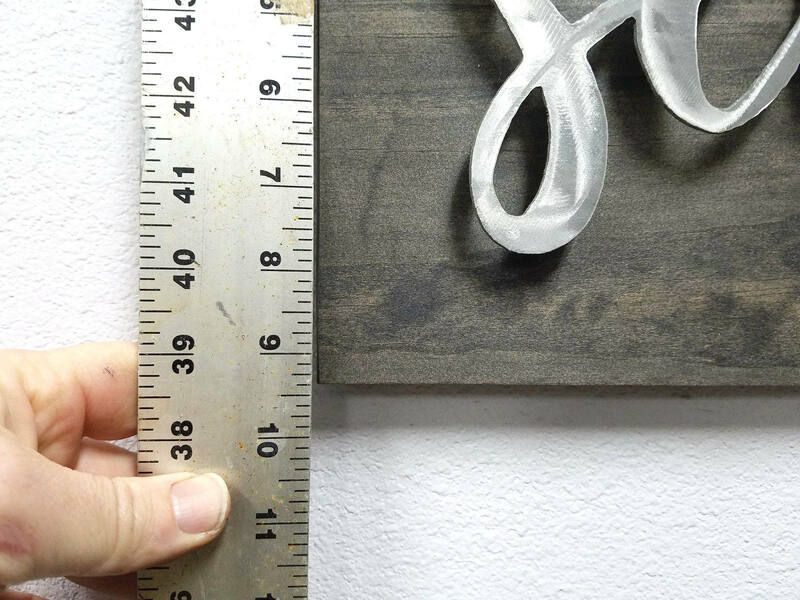 Aluminum reacts to the elements differently and is therefore not susceptible to rust, making this a perfect addition as home decor or outdoor decor. 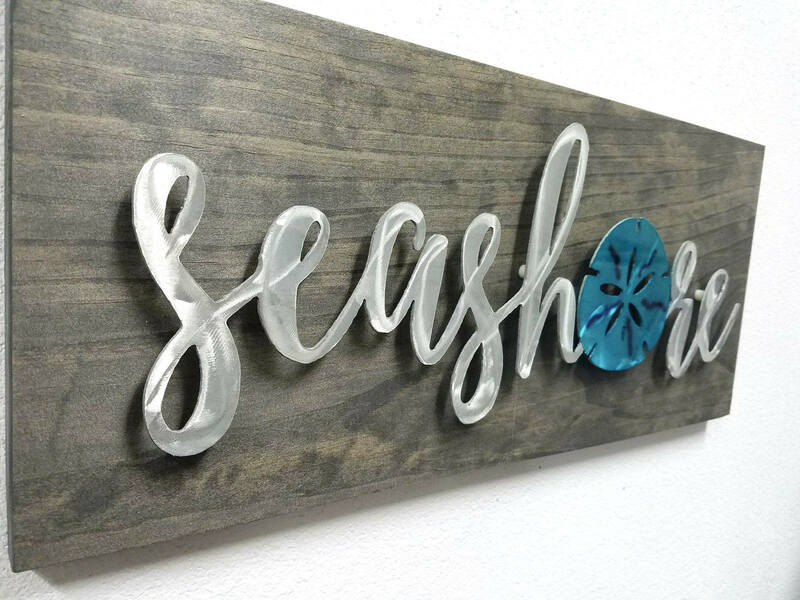 The sand dollar feature of this sign is colored with a special dye that adheres to metal giving a translucent color. The aluminum is then powder coated to protect the surface of the aluminum and to give a shiny, beautiful finish. Powder coat is a thick, sturdy material used to protect outdoor furniture, machinery, even household appliances. We find that powder coating offers more reliable protection for our pieces than paint. Once the powder coating process is complete, we then mount the piece to a stained, pine board to give that "beachy" feel to the sign. We love this piece and certainly hope you do as well!